The Chinese New Year Is January 28! What We Can Learn from Taoist Astrology for 2017! The Chinese calendar is based on the lunar cycle, contrary to the Gregorian calendar which is based on the apparent movement of the sun. The date of each Chinese New Year takes place on the second moon after the Winter solstice. Because the dates of the new moon vary from year to year, it follows that the date of the New Year varies from one year to the next. The Chinese New Year is broadly observed in Asia and Southeast Asia, particularly, China, Korea and Japan. It has its roots in Taoism. It is interesting to note that there are twelve branches in Taoist astrology as is the case for Western astrology with the twelve signs of the zodiac. Each branch is designated by the name of an animal reflecting some of the characteristics implied in the nature of the animal. As with all things that are rooted in Taoism, each branch is declined in five versions to reflect the characteristics of each of the five elements of Chinese medicine—Wood, Fire, Earth, Metal, and Water—and also, simultaneously, by the yin/yang duality. Consequently, there are six yang branches and six yin branches. It means that 6 of the 12 animals are deemed yin and 6 are deemed yang. The yang years are the ones ending with an even number; and the yin years are the ones ending with an odd number. The yin animals will only appear in years ending with an odd number, and the yang animals will only appear in years ending with an even number. Altogether, this creates a cycle of 60 years. It means that the yearly characteristics of Taoist astrology repeat themselves only every 60 years. It provides for ample distinctions on the energetic influence of each year! It is interesting to note the influence of numerology in the organization of the Chinese astrology system. The Chinese New Year starting January 28, 2017, is the one of the Phoenix, more popularly described as the Rooster. It is defined as a yin branch (animal), but as it is declined in the 5 elements, each element brings a lesser or greater yin or yang influence. 2017 is a year for a Fire type animal as it is the case for any year ending with a 7. Phoenix being a yin animal, will appear with the yin aspect of Fire. That combination – yin of Fire - is given the purple color which is why 2017 is the year of the Purple Phoenix. A yang animal, such as the Monkey (the animal of 2016) during a Fire year (as it was in 2016) represents the yang of the yang and is given the descriptive color of red. No wonder that the Red Monkey of 2016 created such havoc on so many different levels! It was predicted. 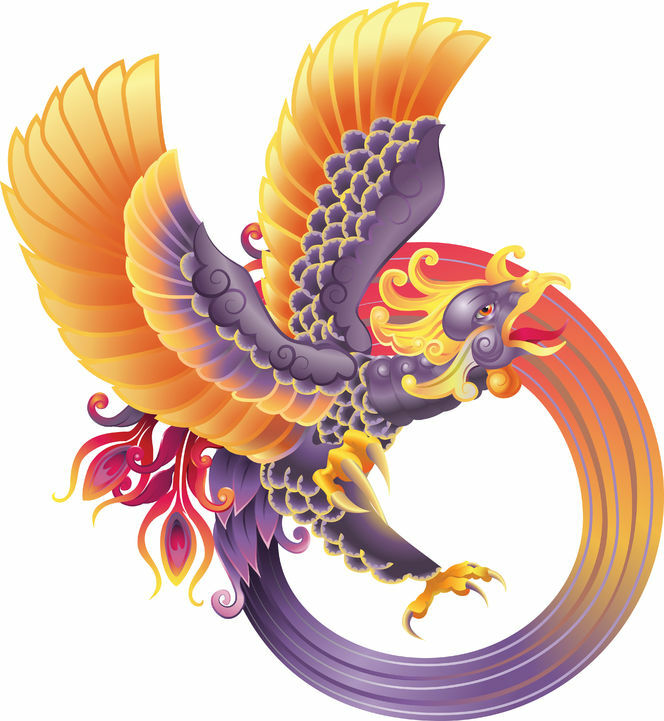 In 2017, the characteristics of the Purple Phoenix are defined by a Fire influence, the most yang aspect of the 5 elements, but it is tempered by its inherent yin. –Levitt, Susan, and Jean Tang. Taoist Astrology: A Handbook of the Authentic Chinese Tradition. p. 171. Rochester, VT: Destiny, 1997. Print. If you look to others for fulfillment you will never truly be fulfilled. If your happiness depends on money you will never be happy with yourself. Be content with what you have. Rejoice in the way things are. When you realize nothing is lacking the whole world belongs to you. Levitt, Susan. Taoist Feng Shui: The Ancient Roots of the Chinese Art of Placement. Rochester, VT.: Destiny, 2000. Print. Levitt, Susan, and Jean Tang. Taoist Astrology: A Handbook of the Authentic Chinese Tradition. p. 171. Rochester, VT: Destiny, 1997. Print.